Ministers are to explore the use of technology to create ‘seamless’ door-to-door journeys for air passengers, including multi-modal ticketing, as part of the Government’s forthcoming aviation strategy. 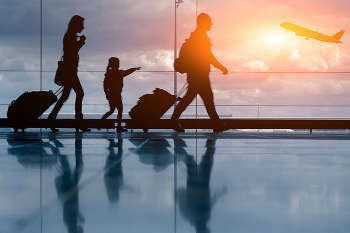 The Department for Transport (DfT) has published next steps document for its aviation strategy, due next year, which it said outlines proposals to ‘build on the aviation industry’s work to improve the flying experience for passengers at every stage of their journey’. Aviation minister Baroness Sugg said: ‘Working with industry, we want to improve the flying experience from booking to arrival, ensuring passengers are truly at the heart of the aviation sector. Officials said the strategy will include new measures to help passengers make a more informed choice about their flight, including providing more transparency on additional costs. The document also outlines how the Government will work with industry ‘to ensure all passengers have a dignified and comfortable travelling experience’, including improving accessibility at airports and on aircraft and tackling the issue of disruptive passengers. Neil Carberry, the CBI’s managing director for infrastructure and people, said: ‘A clear and practical plan is vital to opening up international trade, boosting growth in every region and delivering the Government’s industrial strategy.